Maja Hrudka was the founder and Chairperson of the Board of Directors at Kalyna Care (Located in Delahey, Victoria) formally known as the Ukrainian Elderly People’s Home. This, a position Maja held in the utmost regard. Let us tell you a little about Maja. She was born on the 18th of January 1925 in Krasnohrad located in the Poltava region of Ukraine. Having nothing but a suitcase to her name, Maja sailed by ship to Melbourne in 1949. By the end of 1950 she had achieved her diploma in nursing at Lakeside psychiatric facility in Ballarat and mastered the English language. 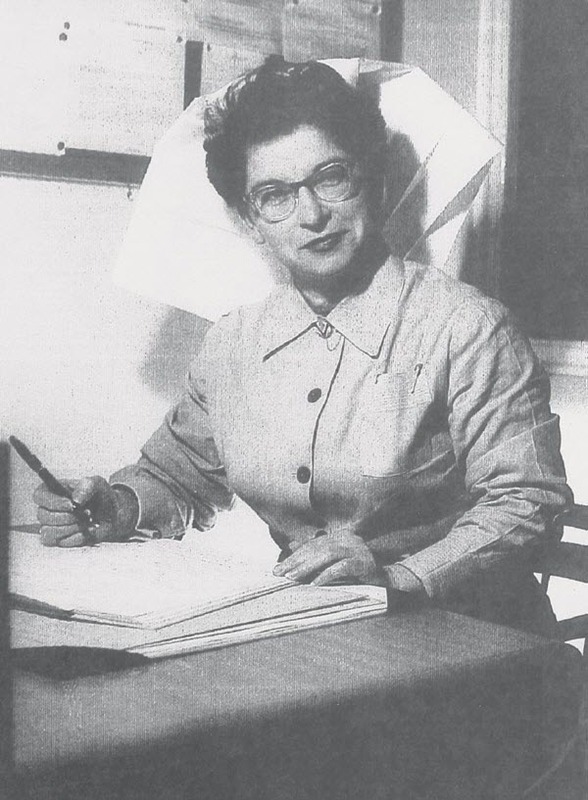 In 1954 she moved to Melbourne to work at the Royal Park Psychiatric Hospital in Parkville. Following her completion of studies at Melbourne University, Maja was appointed Director of Nursing at the Larundel psychiatric facility at Bundoora. Maja eventually became Superintendent of Psychiatric Services in Victoria with her office being situated on Collins Street, Melbourne. Maja had high expectations of her staff and ran a tight ship. Maja was extremely active in the Ukrainian community and she held various executive committee positions not the least of which was as Secretary of the Ukrainian Women’s Association. During this post, she represented the UWA at a national level and at conferences in Toronto, Beijing and Ukraine. In 1995, she attended the United Nations Fourth World Conference on Women and in 1996 she contributed to international conferences in response to the Chernobyl nuclear disaster. It is significant that Maja resided and was cared for in a home she built for other people. Some of the original staff who began work at UEPH in 1993 were her carers. Maja passed away at Kalyna Care on the 21st July of 2014 with some of those of whom she employed by her side. A large portion of Maja’s estate was left to Kalyna Care and given Maja’s efforts in establishing Kalyna Care along with her passion for nursing as a career, the Board of Directors decided to allocate a portion of Maja’s bequest to a perpetual nursing scholarship. 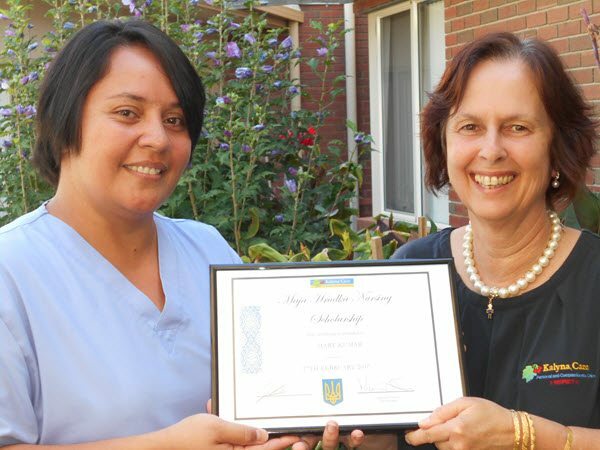 The scholarship is not only a testament to Maja’s personal achievements as she climbed the corporate ladder in her nursing career, it will also ensure that her legacy lives on. Specific criteria were developed for the scholarship with an emphasis on merit and performance. Five applications were received from a range of staff designations including enrolled nurses, carers and hospitality staff. The senior staff team undertook a very stringent assessment of all applications. The recipient of the inaugural Maja Hrudka Nursing Scholarship, Mary Kumar, was announced at Kalyna Care’s General Staff Meeting on Monday the 27th of February, 2017. Mary has been working at Kalyna Care as a Carer since 2011 and will be undertaking her Diploma in Nursing qualification. We congratulate Mary and know that she will take this opportunity which Maja has provided to do her legacy proud. The next Maja Hrudka Nurisng scholarship offer will occur at the conclusion of Mary’s studies and will be open to applications for post gradutate nursing study opportunties.